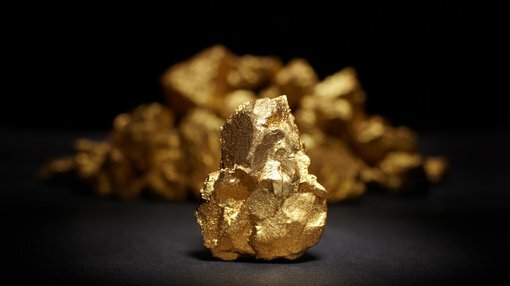 Emerging gold junior, EganStreet Resources (ASX:EGA), this morning announced more in the way of strong assays from outside the current Resource at its flagship Rothsay Gold Project in WA. These are coupled with encouraging results from regional drilling on the Clyde and Miners Shears at Rothsay. The Rothsay Project sits 300 kilometres north-east of Perth’s midwest region. A recently completed Definitive Feasibility Study (DFS) confirmed the project’s technical and economic viability. Rothsay currently hosts high-grade Mineral Resources of 401koz at an average grade of 8.8g/t gold (Indicated 820kt at 9.3g/t gold and Inferred 600kt at 8.0g/t gold) and a production target of 2.1Mt mined and 1.4Mt processed at 6.9g/t gold for 250koz of gold produced. 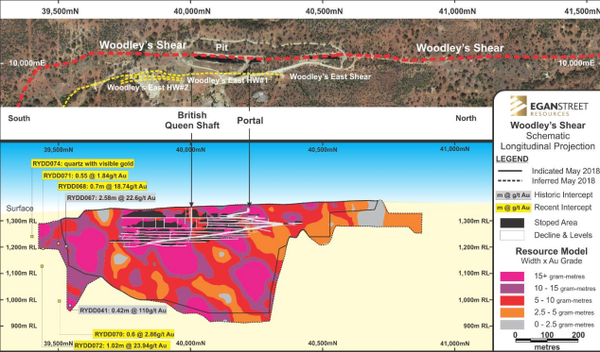 These assays, which come from the recently completed 16-hole diamond drilling program, confirm extensions to the high-grade mineralisation beyond the current Resource on the Woodley’s and Woodley’s East Shears. The high-grade mineralisation extends to the south on the Woodley’s Shear, which hosts the 401,000 ounce JORC Resource at Rothsay. The diamond drilling program was designed to test the extension of the Woodley’s Shear position to the south of an offset of the lode position that was interpreted from magnetics. Here, a total of 14 holes were drilled for 3,840.7 metres. Two further diamond holes have been completed — one infilling the Woodley’s central Resource and a second testing the Clyde and Miners Shears to the north. The company has also completed a 15-hole RC program testing the southern extensions to Woodley’s and Woodley’s East Shears, and samples have been submitted for assay — these holes were designed to infill the diamond drill hole data, in order to enable a Resource estimation in this area. This area will be reviewed with follow up drilling planned for first quarter next year.